I can’t believe it, but I’ve talked to 104 people so far from every age and background about their experiences growing up in St. Louis for my upcoming book, Growing up St. Louis. I’ll talk to two or three more, but I’m basically done. The stories I heard during those conversations will provide the basis for a rich look at how people grew up in St. Louis since 1900. I’m just starting with the writing itself. I love it. 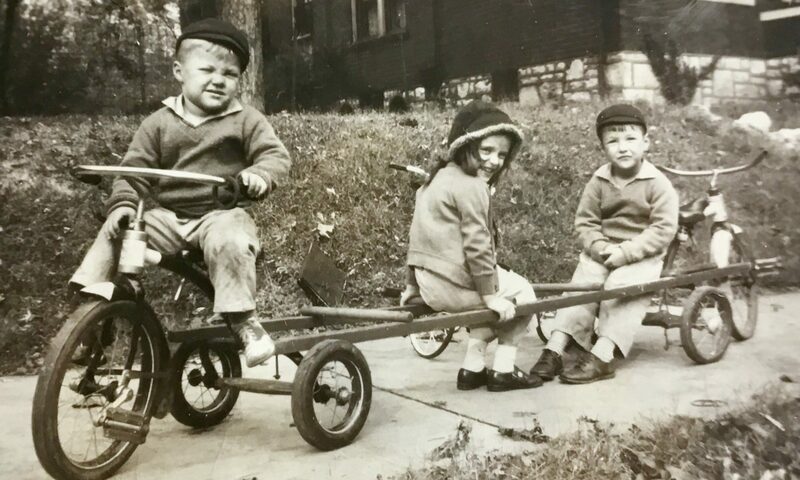 Dorothy Hunter (left) with her sister Ida and her brother Jack at their home on Connecticut street, just some of Tower Grove Park. – Vivian Zwick, who is 100, was invited to join a sorority at Clayton High School, and then rejected because she was Jewish. – When Paul Hartke uttered the “N” word as a youngster in the 1940s, his mother arranged for him to meet the African-American who picked up the family’s trash. He saw that he was just another person. – Florida Cargill has pleasant memories of attending the segregated Douglass High School in North Webster for her first three years in the 1950s. But she didn’t find a warm welcome when she spent her senior year at the newly-integrated Webster Groves High School. – Born in 1947, Darrell L. Fuse grew up on the Hill and delivered moonshine for his grandmother in the late 1950s. – In the mid-1950s, little Jim Horne tagged along with his dad on a trip to fix his a refrigeration unit in a bar on The Hill. He encountered Yogi Berra, who apparently was in town to play in the 1957 All Star game. – KSDK Sports Director Frank Cusumano fell in love with sports attending pro games with his dad, including the 1968 World Series game in which Bob Gibson struck out 17. – Andrej Dzidic came from Bosnia when he was 2 in the mid-1990s. He recalls the frustration he had of constantly translating for his parents. – Vindya Yanamadala is the daughter of two doctors whose marriage was arranged. But the high school senior, who lives in Chesterfield, is totally Americanized. When she marries, it’ll be for love. Here’s the notes I took during my interviews. Oh, the stories they’d tell! ​I plan to stuff other stories about kids’ reactions when they learned about the attack on Pearl Harbor, the assassination of President Kennedy and 9/11. People who grew up at different times talk about their experiences at the first, second and third Busch Stadiums, Forest Park Highlands and the Gateway Arch. They are rich and poor, from every part of the St. Louis area. They’re not just anybody. They are a special group. I believe this will be a significant book about the history of St. Louis from the point of view of children. When the book is released, I’ll give a program about it at the Central Library downtown. 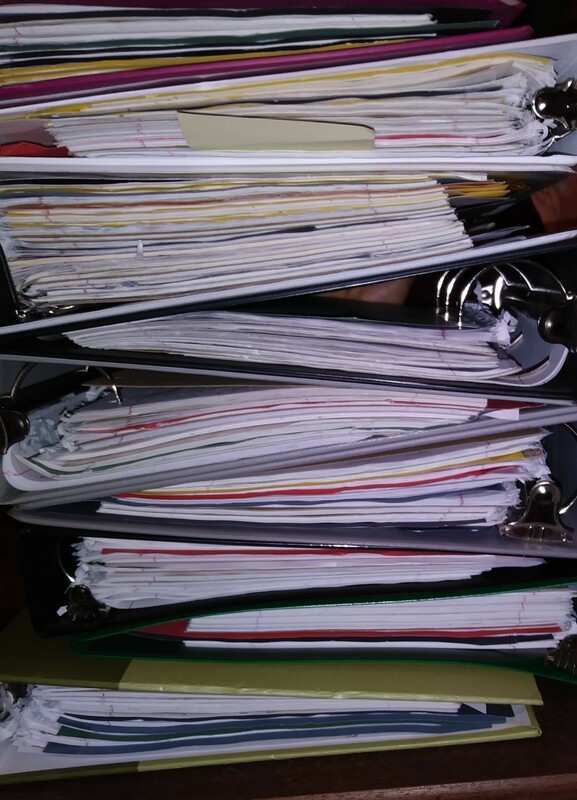 That’s where I found about a quarter of my interview subjects, in open houses at four branches in October. I can’t wait to get this book out.